Does Loss of Water Mean a Plumbing Emergency? You turn on a faucet—and no water comes out. You run over to another faucet, or to the shower, and find no water their either. This certainly sounds like an emergency, especially if it’s morning and you depend on running water to get the basic parts of the early-day routine done. But is a lack of water a reason to make an emergency call to a plumber in Williston, VT? Well, it certainly can be! We’ll take a closer look at “no water” troubles and what they may mean. Posted in Plumbing | Comments Off on Does Loss of Water Mean a Plumbing Emergency? When your pipes are in need of repair, you may notice it right off the bat. For example, you may not be able to use your drains at all or you may notice water leaking from underneath your sink. However, pipe damage does not always present itself so clearly. When you find yourself in need of plumbing repair in Williston, VT, contact the friendly plumbers at Red Rock Mechanical today. For your information, we’ve gathered a list of some of the warning signs. Low Water Pressure – Pipe leaks may not always be so obvious. The United States Environmental Protection Agency estimates that the average household may have pipes that leak up to 10,000 gallons a year! And many of these leaks go undetected for long periods of time. Sometimes, you notice the drip-drip-drip of water in the sink. Other times, however, a leaking pipe will present few warning signs besides an obvious effect on your water pressure. When you notice that the water pressure in your home is low, call on the help of a technician ASAP. Water may not make it to your faucet as quickly because it is leaking underneath the property or through the walls, potentially resulting in thousands of dollars in damages. Slow Drains – When the drains in your home don’t seem to clear out as quickly as you’d like, you can probably guess that there is a clog in the pipes. What you may not know is that those drain cleaning liquids found in stores can do serious damage to the pipes and to your health (especially to your skin and eyes). Slow moving drains are always a job for a professional plumbing technician when a regular plunger won’t work. Our plumbers use only high quality tools to remove drain clogs and ensure the life of your pipes. A Musty Smell – An annoying musty odor that won’t seem to go away is a huge warning sign. Unfortunately, excessive leaking can lead to mold. And mold can result in a number of ensuing issues with your family members’ health. Pay attention to this issue so that you can catch mold early on if it has become a problem. Call our professionals at Red Rock Mechanical today for expert plumbing repair in Williston, VT.
Should You Replace Your Furnace with a Heat Pump? Furnaces are the most common type of heating system in the country, and by a pretty wide margin at that. There are many reasons for this popularity, including versatility and cost. However, being popular does not necessarily mean that a furnace is the best option for everybody. Heat pumps have been gaining in popularity among home owners for their energy efficiency and safer operation. So, should you replace your furnace with a heat pump? Let’s take a look at the pros and cons of each system and see if that can make your choice easier. As mentioned above, furnaces are the most popular type of heating system largely because of their versatility and cost effectiveness. There are many different kinds of furnaces available, from electric to natural gas to wood, making it easier for homeowners to find one that fits their needs. Due to their widespread availability, furnaces are also relatively cheap to install and fix, compared to more rare systems. The downside to furnaces is that they aren’t that energy efficient. A furnace burning natural gas, which is the most common fuel type for furnaces, tends to lose a lot of heat to various factors like duct leaks and combustion gases. Many furnaces still use standing pilot lights, as well, which constantly burn fuel in to stay lit. These cons lead to a lot of wasted energy and money. Heat pumps are non-combustion heating systems. They don’t burn any kind of fuel to create heat, and only require electricity to run. They don’t use heating coils either, as electric furnaces do. Instead, a heat pump moves heat from one place to another by evaporating and condensing refrigerant. By siphoning heat from the outside air and releasing it inside, the heat pump saves a great deal of energy that would otherwise be spent on combusting fuel. However, heat pumps do have one big drawback. In areas where the temperature frequently dips below zero, there is not as much thermal energy in the air for the heat pump to draw on. This leads to a decrease in the heat pump’s energy efficiency, as it has to work longer to heat the same amount of space. If you aren’t sure whether or not to replace your furnace with a heat pump, call Red Rock Mechanical. We provide heating installation in the Williston, VT area. Posted in Heating | Comments Off on Should You Replace Your Furnace with a Heat Pump? Energy efficiency is always a priority when it comes to heating during our cold Vermont winters. There are a number of small things you can do to help save energy this winter, as we’ve outlined below, but should you need repair, maintenance or installation of a heating system in Williston, VT, call the people you can count on: Red Rock Mechanical. Schedule an energy audit – an energy audit allows you to pinpoint exactly where your home is losing energy. Several tests are conducted during an energy audit, including a blower door test. All of the results from an energy audit are put together in a comprehensive report detailing any issues that are found, as well as recommendations on how to repair them. Cover drafty windows – there are a couple of ways to effectively cover drafty windows, such as using a plastic window coverings or winter drapes. Plastic kits are easy to use, widely available and work for any standard-sized windows. The plastic is clear, so you can still see outside without a problem. Winter drapes are usually made of heavy material that helps block drafts, and are available in many retail outlets. Set EPA-recommended temperatures – EPA thermostat recommendations are that an occupied home shouldn’t have the thermostat set any higher than 68 degrees, and, when your home is unoccupied, the temperature should be set 10-15 degrees lower. Following these recommendations can help you save as much as 10% each year in heating costs. Install a programmable thermostat – programmable thermostats allow you to set a program of temperatures for different times of day, different days of the week and even vacation time. This gives you great control over your heating during the winter. Schedule annual maintenance – annual maintenance provides a thorough tune-up for your entire system, as well as the cleaning of components. This allows your system to run at the energy efficiency level it ought to. Winter energy costs are a large part of your household budget. By utilizing some of the tips above, you can reduce some of your heating costs in Williston, VT this year. Need some additional help? Call Red Rock Mechanical today and schedule an appointment with one of our experts. Do-it-yourself projects are much easier today than they once were thanks to the availability of instant access to resources such as free online tutorials. And while such projects may allow you to learn a valuable new skill, heating repair is not something that should be done without the help of a skilled technician. Technicians go through a lot of training to be able to recognize repair needs and make repairs quickly and accurately. That’s why it is important to call on a specialist any time you need repair, like the dependable folks at Red Rock Mechanical in Williston, VT. Let’s take a quick look at a few of the reasons you should always call a technician first whenever you need professional heating repair. The problem may not be what you think. Many guides can give you ideas about what may be causing reduced heating or strange noises from your system. But a lot of problems have several possible causes, which is why you should always depend on a technician to help you diagnose the issue. Reduced heating, for example, may be a result of anything from duct leaks to a faulty motor to dirt on the furnace. Technicians can finish the job more quickly. You want your heater up and running as soon as possible, and an experienced repair technician will probably get the job done much more quickly. This is because technicians go through a lot of training to be able to assess damage quickly and are equipped with the proper tools to get the job done. A new heating system will be costly. Perhaps the most important reason to schedule heating repair is to avoid the need for costly system replacement. The opportunity to learn how to fix your heater is simply not worth the chances of a sudden breakdown. At Red Rock Mechanical, we carry the proper certifications to handle any heating repair and offer a one-year warranty on our labor, something you definitely won’t get with home repairs. We also offer 24-hour emergency service, so you can get repairs at any time of day. For heating repair in Williston, VT, give us a call now! Efficiency is important when it comes to the large appliances in your home. Efficiency can translate directly into dollars saved, so when appliances like your whole-home air conditioner aren’t working efficiently, you can lose money; this can be especially true for air conditioners that are 10+ years old. Just as a new car can be more efficient than an older one, so, too, can a new air conditioner. If you are thinking of investing in a new air conditioning installation for your Williston, VT property, let our Red Rock Mechanical experts give you a few reasons how this can increase your system’s efficiency. Before we talk about specific ways a new AC can be more efficient than your older one, we want to talk about SEER numbers. SEER stands for seasonal energy efficiency rating, and it tells consumers how energy efficient a specific model is on a scale from 1 to 20. In 2006, the federal law regarding SEER was upgraded from a minimum SEER of 10 to 13. This meant that starting in 2006, all air conditioners had to be manufactured with a minimum SEER of 13. Therefore, if you have an air conditioner that is 8+ years old, it is likely that your AC is not as energy efficient as it could be. Less repair work – if you experience a high level of malfunctions and/or breakdowns that require multiple repairs, not only are you paying service fees but your AC is most likely not running well, either. This inefficiency results in additional monetary loss. Better overall operating efficiency – not only is the minimum requirement for a new air conditioner more stringent, but advances in technology have also made today’s air conditioners more efficient – some as much as 60% than ACs from just a decade ago. Better fit for your home – as air conditioners age, their ability to cool your home can decrease with time; this can result in warm and cold spots that can occur throughout your home. To compensate for the shortfall in cooling properly, your air conditioner may start to cycle more frequently, or for longer periods of time. Either of these scenarios mean more energy is used – energy you have to pay for. With a new system that can handle your home’s cooling load, you won’t have to worry about extra energy usage. Is Your AC Ready to Handle the Heat? Choosing to move ahead with a new air conditioning installation in Williston, VT is something that requires consideration and calculation, and we are here to help. Call Red Rock Mechanical today and schedule an appointment to meet with one of our installation experts. Nobody likes dealing with plumbing problems, and if the issue isn’t seriously debilitating, we all have a tendency to let it be. 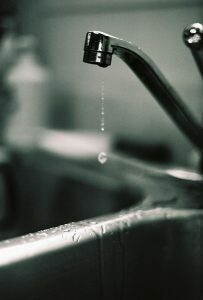 Why not put up with a slow drip in the faucet, for example, or a sink that’s slow to drain? In point of fact, however, those little issues have a way of becoming bigger ones at the worst possible moment. If you’re looking for a plumbing service, Williston VT has a number of reputable companies, and you should always call them sooner rather than later. Here’s a breakdown of minor plumbing problems that can become big plumbing problems. Consider the issue of leaks for example. A small out-of-the-way leak may not seem like a big deal, especially if the slow drip of water doesn’t affect the pressure from the faucet. But that drip can affect your house in ways you can’t predict. Water left on its own can work horrors on nearby wood and drywall, creating major problems with your home. It can also damage electric circuitry and wall outlets. By the time the leak becomes bad enough to affect the water pressure, you may be looking at a serious repair bill. The same thing happens with clogs. The longer they remain, the more other detritus from your sink builds up. That makes the clogs stronger and harder to dislodge, as well as clogging up more and more of the pipe. Getting to a clog early can be comparatively easy. But if you wait, then the plumber may need to deploy more expensive equipment to fix the issue, or even replace the pipe itself. Sooner is always better when dealing with clogs. Your plumbing system will thank you for it. To handle minor plumbing problems that can become big plumbing problems, call upon the professionals at Red Rock Mechanical for help. When it comes to plumbing service, Williston, VT residents can’t find a more reliable company, and we treat little problems with the same reverence and care that we handle big ones. Give us a call today to make an appointment and take care of that lingering little issue before it gets too big to ignore. Sooner or later, every plumbing system gets drain clogs. Whether it’s hot grease poured down your sink, hair and soap trapped in the tub, or slow blockages building up over time, clogs are inevitable. Many people assume they can treat them with store-bought cleansers or snakes, but in truth a professional plumber is your best option. Here in Williston, plumbing experts utilize a number of tricks to get drains unclogged. Here’s how a professional plumber unclogs your drains. In the first place, plumbers rarely use chemical cleansers, which can be dangerous and don’t always do the job. Instead, they rely on snakes to handle the bulk of the clogs. But plumber’s snakes bear little resemblance to the basic models you can buy at the local hardware store. Many of professional versions are electric, allowing the plumber to bring real power to bear on the issue. They also use removable heads that let the plumber tailor the tool to fit the specific clog. That’s not the only type of tools that a trained plumber brings to bear. He or she can send video cameras down the drain to ascertain the exact nature of the clog, allowing for an informed decision as to the best piece of equipment of the job. People often prefer to deal with clogs themselves, but in fact, a qualified plumber can make all the difference. When you look at how a professional plumber unclogs your drains – not just in terms of the tools, but the training and know-how – it’s clear how much of a difference that makes. Here in Williston, plumbing clogs can be treated by the experts at Red Rock Mechanical. If your drains are clogged then give us a call.